The first three Spanish Bourbons (Philip V, Ferdinand VI, Charles III) made a valiant effort to catch up with the other nations of Europe which had past Spain by, but their policy of “revolution and reform from above” met little enthusiasm among the people. 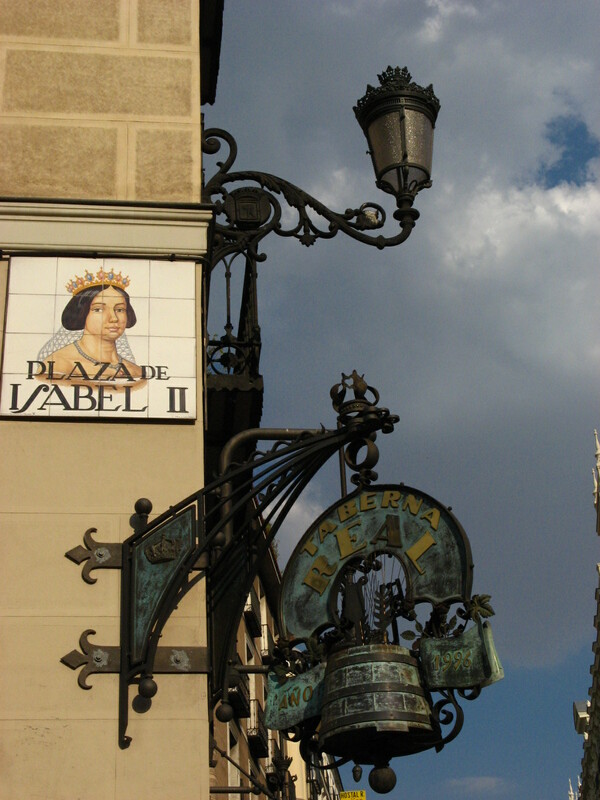 The eighteenth century in general was characterized by a struggle between two opposing tendencies: the Europeanization of Spain, espoused by the intellectuals and by the crown, on the one hand, and, on the other, the attempt to recapture some of the essence of Spain’s past glory simply by intensifying the uses of measures utilized two centuries previously. This latter attitude was supported by the mass of the Spanish people. One example of this was the attitude toward the reactionary Jesuit order, disbanded by the liberal Charles III at the end of the eighteenth century because of its interference with the national political life. The Spanish masses sided with the Jesuits, and the liberal action of the king had the unexpected effect of winning supporters for their cause. With such a populace the best intentions of the most liberal monarchs would in the end come to a mere inching forward. The Spaniards resisted progress all the way. The king of Spain was still “His Catholic Majesty.” And it must be remembered that there never arose in Spain a single Protestant church. Indeed, this is one of the great tragedies of Spain as a nation. A few Protestant sects, even two or three, would have put the Spanish Catholics on their toes, would have prevented carrying religious totalitarianism over into the political sphere. But Spain was never a country where church and state could be thought of as separate entities. Bound together by the eight centuries of war against the Moslems, they remained together until fairly recent times. The Spanish church-state never did permit dissidents as a matter of course, whether they were political or religious. The Spanish universities were something else again. Gone were the great teachers of the Golden Age, yet medieval scholasticism, with all its verbose, theoretical arguments, was still in vogue. Theology was still considered as the master science of which all the other sciences were the servants. It was also the most honored and highest paid chair at the universities. Theoretical problems were disputed incessantly in Spain, while in the rest of Europe progress were being made in physics, anatomy, botany, geography, natural history, and in all the other fields of knowledge. The University of Salamanca held that the study of Newton would not improve one’s logic or metaphysics, and that Descartes was much farther from revealed truth than Aristotle. Meanwhile, classes in theology still discussed such subjects as what language the angels spoke, and whether the sky was of bell metal or of wine-like liquid. Good maps were nonexistent. There were no laboratories. The texts were old and outdates. In medical practice the sangria or bleeding was cure-all. Charles III greatly improved the highways of Spain, and in 1788 he established a system of long distance coaches known as diligences. He also made every effort to wipe out the widespread banditry that infested the roads of Spain, for up to his reign it was practically impossible to travel across the country without being held up and robbed. He also initiated many economic reforms and a program of public work. Industrial experts were brought into Spain from other countries to teach the new processes, and 6000 Bavarians, knowledgeable in agriculture, were settled in thirteen new communities in the Sierra Morena. Education was secularized after the expulsion of the Jesuits, and the school system reorganized. The intellectual life of Spain during the eighteenth century was strongly permeated with foreign influences. France, of course, exerted her dominion as she was doing at the time throughout Europe, and the Bourbon dynasty accentuated this inside Spain. Rousseau, Voltaire, Montesquieu and other French writers were admired by the handful of Spanish intellectuals. But influences from other countries were almost as strong. The English writers Francis Bacon, Locke, Young, Adam Smith, and Pope were also well known and were strongly influential in the rebirth of Spanish learning as the century progressed. Among the social pastimes of the eighteenth century was one which has since become almost the distinguish mark of Spanish life, the tertulia, or conversational gathering. 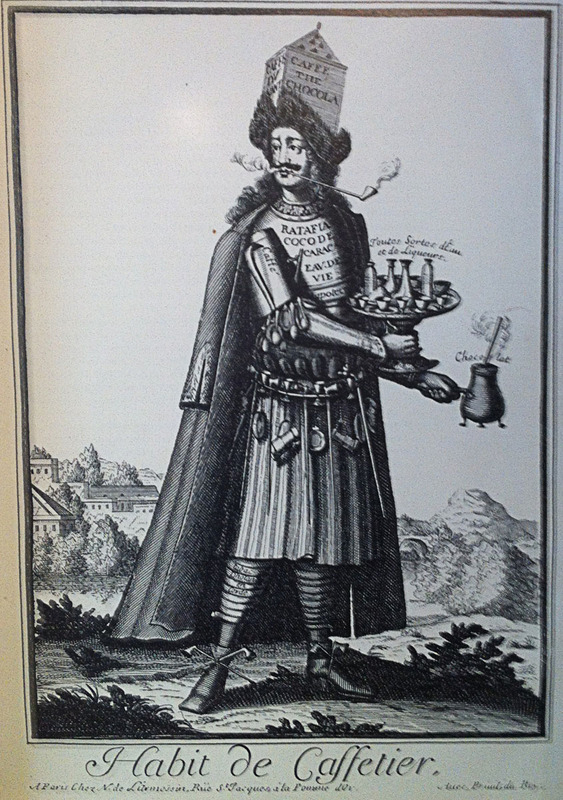 During the eighteenth century two hot drinks were served in Spain, chocolate and coffee. The latter drink was popular among the French and the few Spaniards that followed them, but hot chocolate was still by far the most popular beverage. It was more than a beverage; it was an institution of the epoch. As in the Golden Age hot chocolate was drunk by all classes. The great passion of the Spaniards was for dancing. When the Bourbons first came to the throne French customs and dances almost obliterated those of the country, but this did not last for long. The Spanish seguidillas, of which the typical Sevillanas of Seville is the Andalusian variation, the fandango, and the bolero were among the most popular native dances, while the most popular importations were the minuet, the contredanse, the gavotte, the waltz, the polka, the rigadoon, and the galop. The influence of the French encyclopedists took root in the latter part of the century, but resulted in only relatively few works. 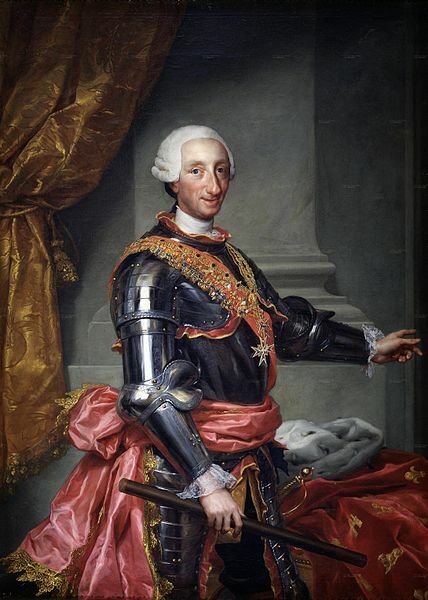 Intellectual stagnation and scholasticism had reached such a low point in 1700 that it was many decades before the mind of Spain could pull itself out of the morass, and by the time it had done so, the enlightened Charles III had died and the throne was taken over by one of the weakest and most stupid of the Bourbons, Charles IV, whose imbecilic family is preserved in immortal degradation in the paintings of the artist Goya. The last best hope of Bourbon enlightenment and of reform was gone, and for the next one hundred years the nation would sink again into the slough of depravity, of inertia, of useless words. For over a century it was almost universally believed that during the period of the Enlightenment (Spaniards refer to it as the Ilustración or El Siglo de las Luces) the masons and the Jesuits were engaged in a mortal conflict, the Masons representing progressive French ideas, the Jesuits defending Spanish conservatism. Spaniards in general have long regarded the eighteenth century as a kind of unhappy hiatus in their history. They felt that just as Spain had previously turned her back to Renaissance and on the Reformation, in the latter years of the eighteenth century she turned her back on the Enlightenment. The old xenophobia had reasserted itself with a vengeance. Charles III died in 1788, one year before the bloodbath of the French Revolution began. He brought to a close Spain’s hope for progressive political leadership. The excesses that took place in France were viewed with great trepidation in Spain, and following her usual course this country clamped down on liberalism in general. It must be said that Spain was not the only European country which tried to preserve her institutions by stepping backward. The next two Spanish kings, Charles IV, and his son Ferdinand VII, were among the worst the country has ever had. Disagreement and hatred is so strong in the royal family that in 1807 the whole Spanish monarchy disintegrates. Both father and son make every attempt to get Napoleon’s backing but, finally convinced that neither of them would make a decent French ally on the Spanish throne, the French emperor decided to reserve the position for his own brother, Joseph Bonaparte, who he hoped would establish a new dynasty in the neighboring kingdom. In the meantime, French troops with full Spanish consent had already entered the country for the purpose of conquering Portugal. They now took over the government of Spain, and Joseph was made king. Neither Charles nor Ferdinand was allowed to return to Spain. The populace was enraged at this trick of fate which unexpectedly gave them a foreign monarch. On May 2, 1808, there was a spontaneous uprising in Madrid against the French forces quartered there, and much bloody fighting took place before the revolt was quelled. Joseph then attempted to occupy the rest of the country to govern it. He had few supporters in Spain, where the people were already referring to him insultingly as Pepe Botellas, because of his fondness for alcohol. The British, ever fearful of Napoleon, now saw a wonderful chance to attack the French emperor on his vulnerable flank, and invaded the peninsula with a considerable army offering the rebellious Spanish masses every military support. Thus began the Peninsular War, called in Spain the War of Independence, which the Spanish people and Wellington eventually carried to a victorious conclusion, forcing Joseph across the Pyrenees. Napoleon was unable to come to his brother’s assistance. His disastrous retreat from Moscow with its irreparable losses of men and equipment had made this French defeat inevitable. It also made certain the final ruin of Napoleon. Ferdinand VII took over the throne, and was acclaimed as the absolute king. He re-established the Inquisition, abolished in the brief flurry of liberalism, and crushed every manifestation of reform. He filled the prisons with those who opposed him, and again instituted the old seigniorial privileges. Free discussion was extinguished. The liberals were severely punished by the new state, there were widespread executions, and many of them fled from Spain. The Jesuit order was invited back into the country and to it was entrusted the education of the young. The entire nation was impoverished. There was no industry. Bandits infested every highway, and travel was impossible. The king fiddled and debauched and shouted curses on all liberalism. The American colonies, which had taken over their own government during the regime of Joseph Bonaparte in Spain, saw that it was madness to negotiate with Ferdinand and determined to strike out permanently on their own. All hope of repossessing the Spanish empire overseas was doomed by the ignorance and fanaticism of the obsessed and despotic king. 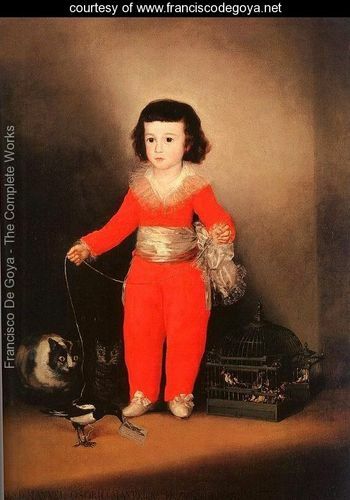 The one shining light of Spanish culture during the stagnant years of the reigns of Charles IV, Joseph Bonaparte, and Ferdinand VII, was the incredible artistic output of paintings and etchings by Fransisco Goya. 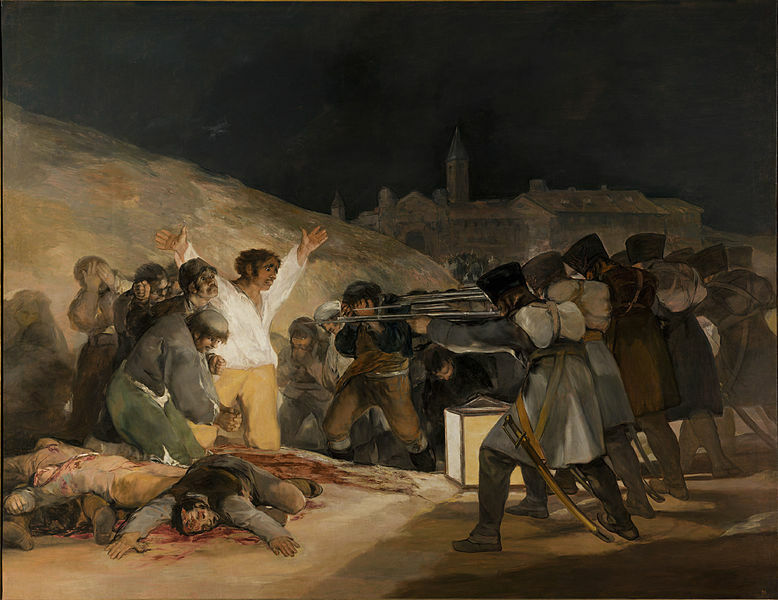 When the War for Independence broke out in 1808 Goya was sixty-two. For nearly a third of a century he had been the official painter of the Spanish court. Goya saw the war at first hand, and its essence of depravity and horror never left his mind. His many paintings, drawings, and etchings, based directly or indirectly on that holocaust, constitute an indictment of warfare never before or since portrayed. The “Disasters” were first printed around 1824, when Goya, then seventy-eight years old, had crossed the Pyrenees alone and taken refuge in France, in order to escape the despotism of Ferdinand VII and the Inquisition. His etchings on bullfighting and his series entitled “Caprichos” and “Proverbios”, which expose the vices of the Spaniards are powerful studies in black and white. Most of his artistic output, aside from his excellent cartoons and portraits, some of which are of adorable children, reveals man’s monstrous inhumanity to man, the symbolic degradation and the incredible courage of the people of Spain. 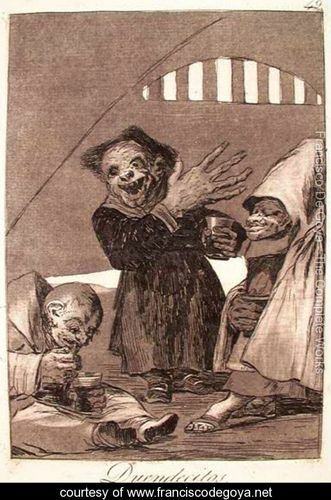 Some critics maintain that Goya went mad before he died in 1828, at the ripe age of eighty-two. By the time Ferdinand VII died in 1833, the backward, superstitious, reactionary Spanish populace had their ardor dimmed. They could see, as we can see, that their prostrate country had passed through the enlightenment without being enlightened, had passed through the period of the French Revolution without being reformed, and was passing now through the industrial revolution without being industrialized. Elsewhere in Europe a set of values had taken root which the Spaniards did not understand and were unable to apply: constitutional government, social reform, the application of new discoveries and techniques in the economy, the buildup of communications and transportation, agricultural reform, the separation of church and state, freedom of speech, of assembly and of the press. But Spain held tenaciously onto her medieval dream. The Spaniard who caught the essence of this grotesque dream of Spain was Mariano José de Larra (1809-1837), one of the great writers of the nineteenth century. His father had backed Joseph Bonaparte during the French occupation, and when the French were defeated had fled with his family to Paris. The amnesty of 1818 permitted them to return to their native land. Larra as a child was something of a prodigy, and this contact with France gave him a glimpse of liberalism in action which made his future life in his own country a constant frustration. He did not believed in half measures; as a writer he was absolutely devastating. He signed many of his pieces with the name of Fígaro, hero of the famous trilogy of comedies by the Frenchman Beaumarchais in which the old regime is ridiculed. Larra made a good Spanish Fígaro; he was somewhat less humorous than Beaumarchais’ character, and a great deal more barbed in his criticism of the status quo. 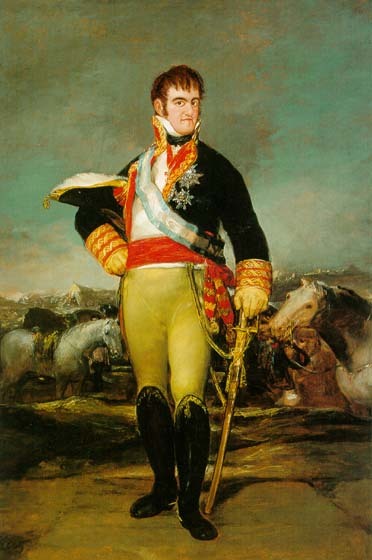 After the wars of succession, named the Carlist wars after Ferdinand VII’s brother Carlos, which found their main support in the extremely religious Basque provinces, Isabel II, Ferdinand’s daughter, had a long unfortunate reign that lasted from 1833 to 1868, the first few years being under the regency of her mother. During these years Spanish liberalism made progress, and there were attempts to modernize the economy and educational system of the country. Primary schools were established, the universities were reorganized, and several cultural institutions were founded. In her private life, Isabel turned out to be almost as dissolute as her father, and she acquired the neurotic habit of appointing and dropping ministers without rhyme or reason. She was an enormous woman physically, and at the court functions her elephantine gamboling (she loved to dance) was anything but esthetic. Before many years had passed she was widely referred to in Spain as “esa señora” (that woman), in a tone that carried both scorn and condemnation. She was generous, impractical, good-hearted, superstitious, emotionally infantile and unstable. Isabel’s king-consort was her cousin Francis of Assisi, presumably homosexual. Spain did make material progress in spite of her corrupt and bureaucratic administration. Rail lines were laid and for the first time in her long history this brought her various regions into close communication with each other. However, the central authority was so inept and unpopular that better communications did little to diminish the strong separatist feelings which had always plagued the country. Moreover, there were gross financial and employment scandals involved in the laying of the Spanish railways, and as a result of these the Queen Mother herself, who had a hand in the pie, was forced into a permanent exile. By 1868 the country was fed up with the Queen’s administration and a pronunciamento by general Prim put an end to her reign. “Spain with honor” was the burden of this coup d’état. It was followed by the First Spanish Republic of 1873-1874. Emilio Castelar, a noted professor of history, and the most famous Spanish orator of his day, was the last of its four presidents. Neither the Republic nor its president had a hope of survival for there were many holes in the road: the revolt in Cuba, the splintering of the liberals, the hostility of the Cortes, dissatisfaction among the military, a full-blown Carlist war in northern Spain, scheming among monarchists who still clamored for the Bourbons, economic and financial conditions that were frightful– these were only a few of the things that the First Spanish Republic had to contend with. The wonder is that it ever got established at all, for its death was a forgone conclusion.